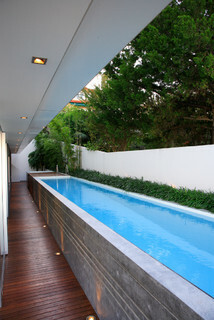 If you’re into small houses, it’s likely that you’ll appreciate the benefits of a small pool over a big one. 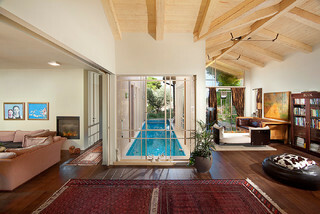 This is true whether you want it for swimming laps or just wading. 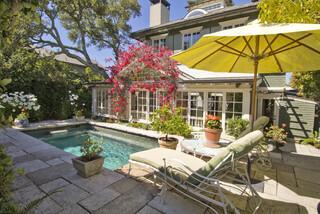 Like small houses, small pools are less expensive to build, heat, and maintain. They also, of course, take up less space. 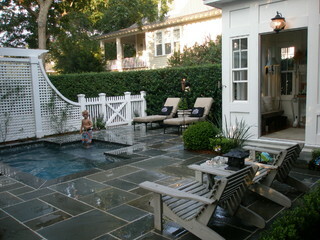 This can be an advantage if you have a small yard and you want to use it for multiple purposes. For example, having a pool may be important to you, but since your house is small, you might also want to devote as much outdoor space to garden rooms as possible. 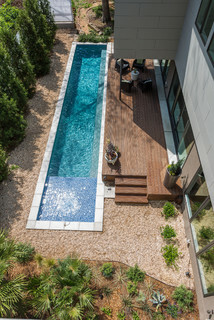 If you enjoy swimming laps for exercise during the summer as I do, you’ll want to select a small pool that has the appropriate dimensions for this purpose. 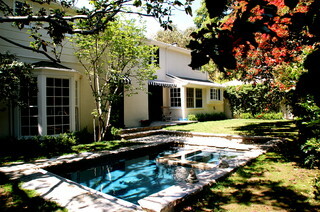 I’ve been surprised to discover that a pool doesn’t need to be very deep to comfortably swim laps in it. The pool that I’m using now is only 4 feet at its deepest point. Most of it is only 3½ feet. 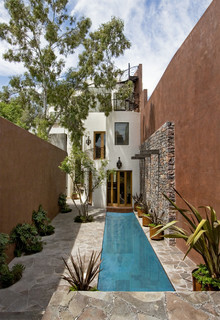 I think having the entire pool at 4 feet would be ideal. Although it has a typical width, I would imagine that the span of a person’s extended arms would be sufficient. The length of the pool should be a reasonable distance so you can build up some speed and rhythm before having to turn around. 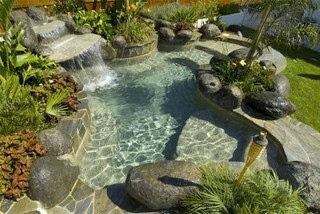 These photos of lap and wading small pools may give you some ideas. 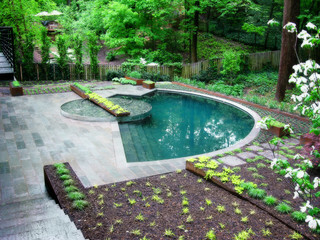 I hope you’ve gotten some inspiration from these small pools.